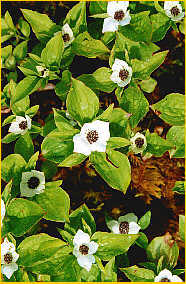 The Dwarf Dogwood is related to the flowering dogwood trees. These low, trailing plants (5-25 cm./3-8 in. 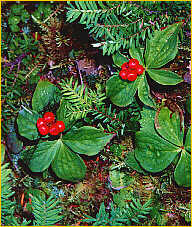 tall) are abundant throughout Canadian forests coast to coast. - by a unique mechanism the petals can propel the pollen into the air.